Aban 13 (November 4), Student Day in Iran, indicates “deep and continuous challenge” between the Iranian nation and the world-devouring US, the top military commander said here on Sunday. “…, Aban 13th is the day of damaging US grandeur in Iran and all over the world,” Major General Mohammad-Ali Jafari, Commander of the Islamic Revolution Guard Corps (IRGC), said at the rallies in Tehran. The Aban 13 (November 4) is named in Iran as Student Day, which marks the take-over of the US embassy in Tehran in 1979. During the nationwide rallies, the Iranian people show hatred towards the global hegemonic powers and renew allegiance to the Islamic principles set by Imam Khomeini, the late father of the 1979 Islamic Revolution in Iran. In 1979, when the university students reached US embassy in Tehran, they decided to attack the place and capture the diplomats who were trying to stand against the students, Jafari said. The students’ move was later confirmed by Imam Khomeini, and the event was called the second Revolution in the country, IRGC commander added. UNICEF to S. Arabia: When will violence against Yemeni children end? Ayatollah Sistani calls for quick formation of new Iraqi govt. 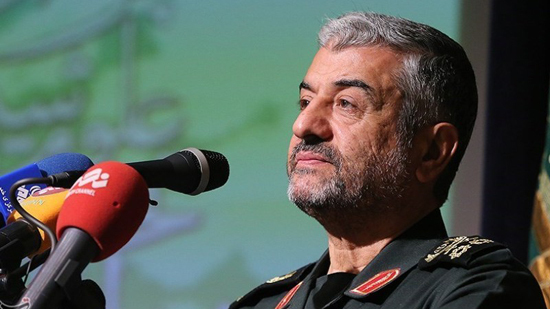 Military aggression on Iran to cost enemy dearly: IRGC cmdr. Does UAE seek to colonize Yemen's Socotra island? US main culprit behind assassination of Yemen’s Political Council chief: Yemeni Cmdr. Supreme Leader lauds people's epic presence in Bahman 22 rallies. Myanmar gives green light to resume food aid to Rakhine, says U.N.
Combating terror needs all nations’ coop. How Saudi Arabia and allies strong-armed Qatar, blindsided U.S.
Israel to unveil 'multiple' settlement plans. U.S.-backed forces seize IS-held town near Syria's Raqqa.